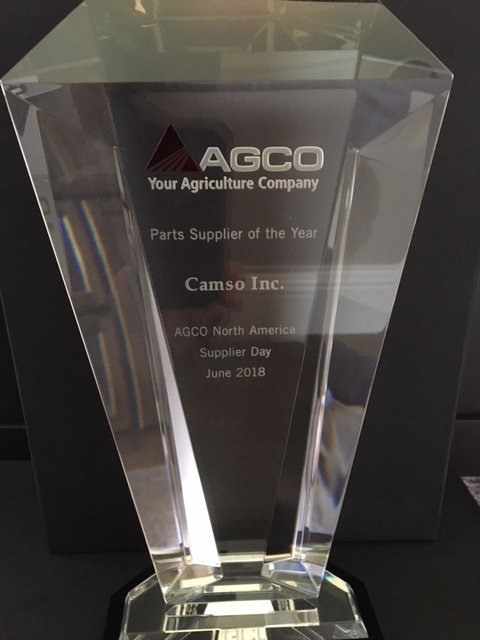 We’re very proud to have been recognized as the Service Parts Supplier of the year by AGCO at the annual North American Supplier Day held on June 14th. The Supplier Awards ceremony is a great opportunity for AGCO to meet with their supplier network, talk to them about their new products, such as the new Fendt® IDEALTM combine, and discuss their mutual goals of agricultural manufacturing excellence. Of all the suppliers AGCO works with, only 8 strategic partners are recognized during this annual event with “Supplier of the Year” status, being the highest honor among the Service Parts group. We’re also celebrating a 15-year relationship with AGCO providing tracks and wheels to both assembly line and service parts. Thanks to all our team for the continuous effort and congratulations to all AGCO partners!